Get your pencils and your brackets ready, it is March Madness time! I picked Bacon to win the whole tournament this year. Huh? 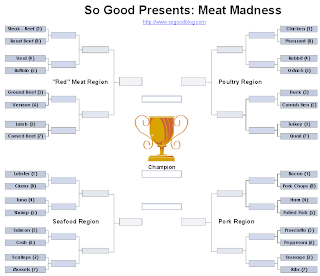 Yep, I got a Meat Madness bracket.